On 23 May 1999, the Sunday Times (UK) carried an astonishing article entitled 'Jungle reveals traces of Sheba's fabled kingdom'. Over the next few days many other papers followed suit. Even the Daily Mail one day later asked "Was the Queen of Sheba really a Black woman from Nigeria?" As the evidence emerged, however, the queen of Sheba link proved to be hype. The real Sheba was an Ethiopian queen who lived three thousand years ago. 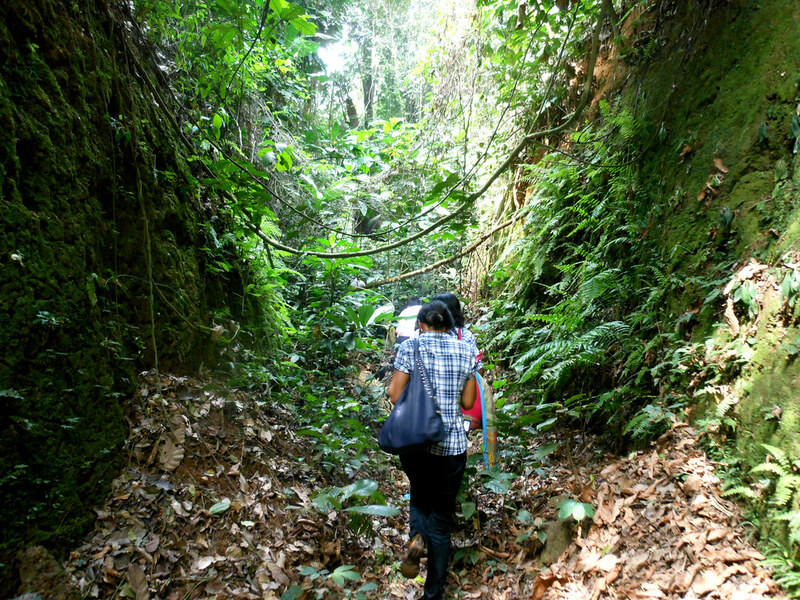 What was undeniable, however, was that the southern Nigerian rainforests had an even more amazing secret to tell. The secret was this. During the Middle Ages, Africans built by far the largest city the world had ever seen. In size, this city dwarfed Baghdad, Cairo, Cordoba and Rome. The achievement was on a scale even bigger than that of the Great Pyramid of Giza, Africa's most celebrated monument. At one time, scholars used to divide the three thousand-year history of southern Nigeria into four great cultural periods. They used to speak of the Nok Culture, the Igbo-Ukwu Culture, the Yoruba Kingdoms and the Benin Empire. This view was boldly challenged by the findings of a team of Bournemouth University scholars led by archaeologist Dr Patrick Darling. 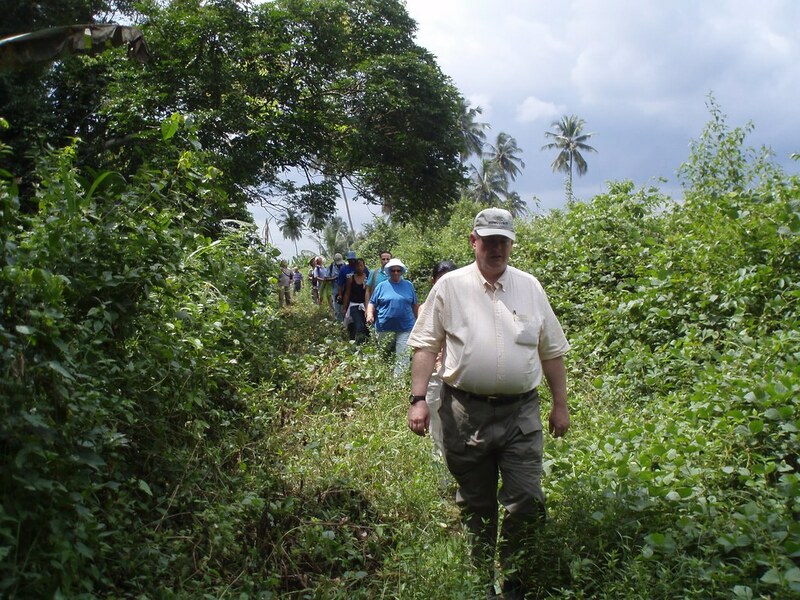 Since 1994, the team discovered and mapped the remains of yet another Nigerian kingdom, this time covered by centuries of forest overgrowth. Barnaby Phillips of the BBC described the discoveries as possibly "Africa's largest single monument." As we shall see, this is typical British understatement. 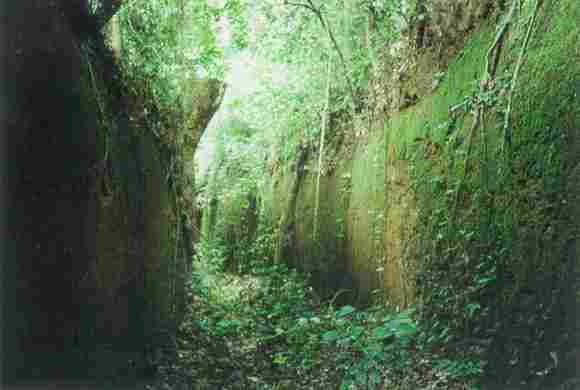 At Eredo, in south western Nigeria, Darling's team found a huge earthen wall with moated sections. This encircled an ancient kingdom or city. From the ditch to the summit of the rampart measured a towering 70 feet. According to Mark Macaskill of the Sunday Times, the rampart was "100 mile[s]" long and formed a rough circle, enclosing "more than 400 square miles." The building was on a truly epic scale. The builders shifted 3.5 million cubic metres of earth to build just the rampart alone. According to the BBC this is, incidentally, "one million cubic metres more than the amount of rock and earth used in the Great Pyramid at Giza. [Egypt]" Therefore Eredo's construction is estimated to have "involved about one million more man-hours that were necessary to build the Great Pyramid." 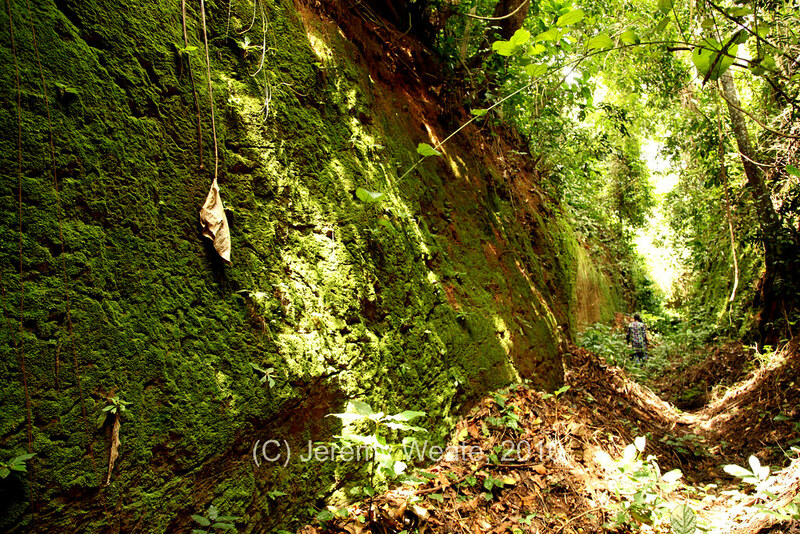 The ramparts may indicate the boundary of the original Ijebu kingdom that was ruled by a spiritual leader called the "Awujale". Macaskill, however, disagrees. He describes Eredo as a "city". If he is correct, this would make Eredo one of the very largest cities in all of human history. It was larger than modern London, and was definitely the largest city built in the ancient and mediaeval world. Among the discoveries, a three-story ruin has been tentatively identified as the royal palace. It had living quarters, shrines and courtyards. It is possible that thousands of smaller buildings are still concealed by the forests. These will be mapped in time. 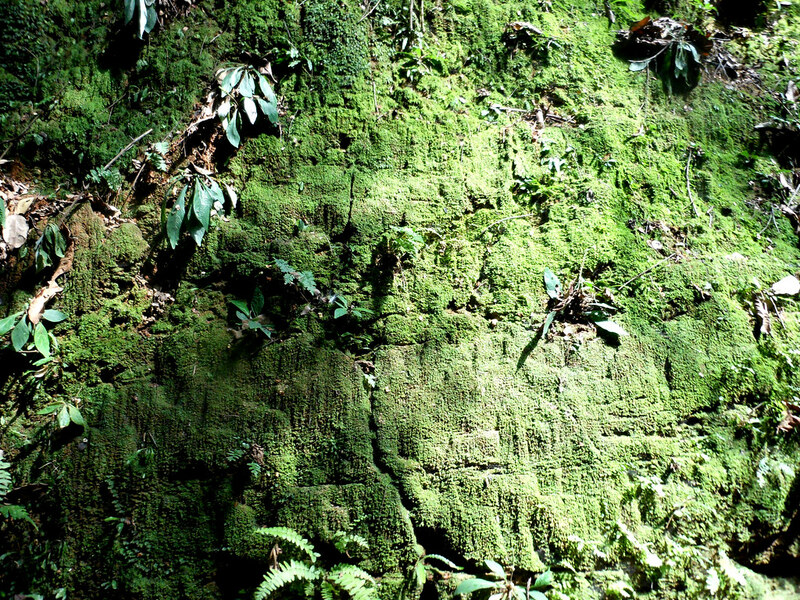 Radiocarbon dating has so far established that the buildings and walls were more than 1,000 years old. Dates such as 800 AD have been given as a good ball-park figure. People who live near the ruined kingdom or city today have traditions that a wealthy and childless queen, Bilikisu Sungbo, built the city. Some say that she built the city as a religious offering. It is also claimed that Sungbo's territory had a gold and ivory trade. Moreover, her royal household are said to have kept eunuchs. Portuguese documents dating back 500 years, allude to the power of an Ijebu kingdom that some scholars think is possibly this very one. Today, the ruins continue to be of great importance. There are yearly pilgrimages to Sungbo's grave. Despite this great African achievement it is, however, disconcerting to note that racist theories are already being formulated about this kingdom. For example, Barnaby Phillips wrote that the building of Eredo was: "carried out by people who could not read or write, and with only the most basic of tools. Thousands of labourers - probably slaves - must have toiled in the thick rain forests and dark labyrinth swamps for years." Naturally, he offers no evidence for the assertions of slavery and illiteracy. On the other hand, the evidence of iron smelting and the other highly advanced metallurgical activities for which the Nigerian civilisations were world leaders seems to disprove the notion that the builders had only basic tools at their disposal. On a happy note, Dr Darling, the leader of the archaeological team, suggested that Eredo may well gain World Heritage Status. This will put the Eredo kingdom or city on an equal footing with other African marvels such as the Pyramids of Giza and the city of Djenné in Mali. It also places this great achievement on a footing with other great marvels from around the world such as Stonehenge. So, conventional belief is that the Eredo earthworks surrounds a kingdom, meaning several towns, villages, empty land, bush etc. But if it actually was a WHOLE CITY, as some scientists now insist, that means it would be by far the largest city in all human history!!! If that is the case, then an unbelievable amount of artefacts and treasure lies beneath that land. Who knows how much GOLD will be found in such a huge city?? The research above states the city traded heavily in gold and ivory. There would have been thousands of rich families and palatial homes, housing all sorts of treasures! I can't wait for the digging to commence! if i can remember clearly,i think this story is kinda connected to queen Sheena.king Davids ex wife..plus she was buried close to this site.. Yes. Thousands of people visit her grave each year in honour of the queen. Bilikisu Sungbo. It is said she was a giantess, and that her grave is very long. She's the one who visited king Solomon to test his wisdom. History is still laying fallow at Oke Eri, to be told in future time. If this monument was in the UK, they would have restored it, publicised it, and prepared it for various tourist packages. Ordinary Stonehenge that is just a circular structure made with some rocks, they've made billions of pounds from tourists visiting it. 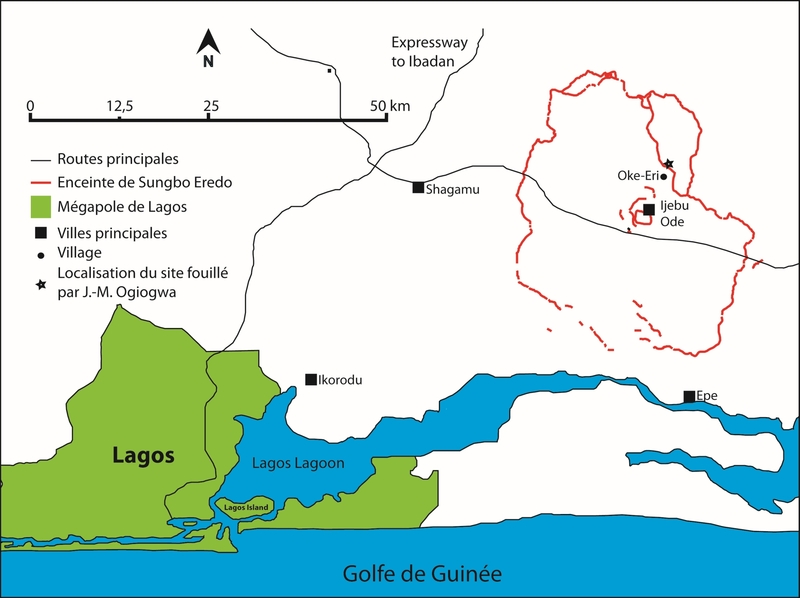 The Eredo served a defensive purpose when it was built in 800–1000, a period of political confrontation and consolidation in the southern Nigerian rainforest. 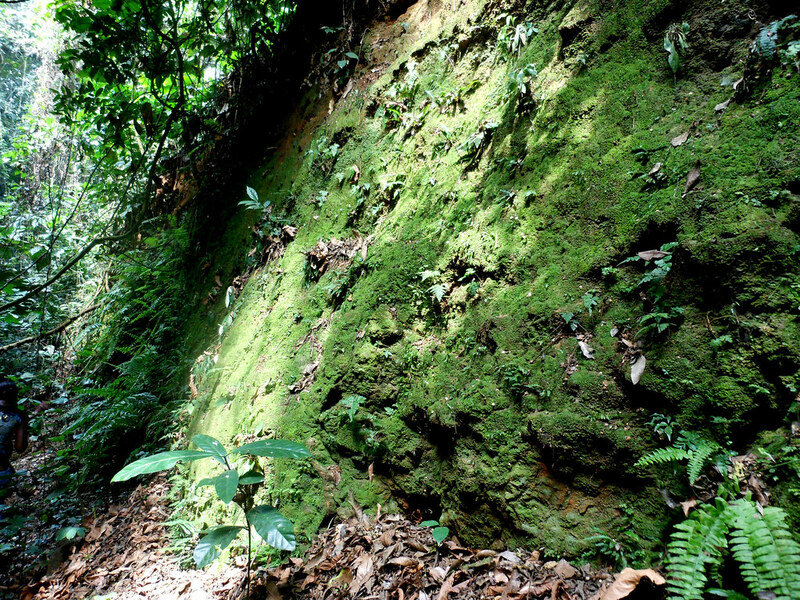 It was likely to have been inspired by the same process that led to the construction of similar walls and ditches throughout western Nigeria, including earthworks around Ifẹ̀, Owo, Ilesa, and the Benin Iya, a 6,500-kilometre (4,000 mi) series of connected but separate earthworks in the neighboring Edo-speaking region. With due respect, I think the Yoruba scholars are complacent lot. They are jinxed to 'the ultimate-answer' given them in in Ile-ife origins of the Yoruba, now what is left to do is deny every other paragraph that comes before and after the source of this claim as if the early scholars who mention ife were fools to be discredited, biting the fingers that put you in the limelight. Our history in modern times is about argument for or against what we used to believe as history, no spirited effort to confirm as true the conclusions of old but to debunk such while retaining a part: why not discard off the old and start afresh? Isn't your assumption that early claims being tinted with religious sentiments not tinted with inability to sift fact from fiction to unravel facts? Now how does your tradition of origin solve the eredo paradox? They will also come here as soon as this thread hit the frontpage to discredit everything connecting it with the outside world, but would never resolve the mystery of who, when or how. Because they are too complacent to research but eager to protect the 'ultimate answer' as the almighty formula for Yoruba history. Our people are too feeble to think and too scared to ask questions. The ones who were beneficiary of the urban legend works to quench the investigative spirit of anyone who rise to challenge them, but fact also elude them other than the regular coverup that never sound scientific or far reaching but self-serving. Let's wait and see. This is the relics of an empire lost in time. This points back to a legendary woman: Mr. Oduduwa, what did you accomplish for Yoruba? How did you succeeded in putting your children on the throne in all realms without any history of confrontations? Are you an Uthman Dan Fudio? How did all your children became kings and had no trace of personal name but title of kingdoms as their names? Sungbo had a name and memorial landmark to her greatness! AbsoluteSuccess...please enlighten us further on the history of the region as you see it...for those of us not familiar with the Yoruba politics alluded to. The past is shrouded in mystery, all we are left with of the pre-historic era are words built around heroes of the culture, some classic artifacts and certain puzzling patterns that if harnessed may help our understanding of Yoruba history for instant. Such patterns exist in fixed oral text, place names and genealogical traditions kept in Yoruba families. The elements of Yoruba history is linked to Yoruba family pedigree. We need to harness such and sift history from it, rather than invent history. Yoruba spoken word is very potent, many secrets are concealed in Yoruba spoken words thann you have in the heart of men. Yorubaland for instance is not Yorubaland from inception, but 'ile Aye' or 'home of the matriarch' so who was the matriarch? The saying 'aye loja orun nile" implies that Yoruba migrants came to do business in Yorubaland and look to a time they will trace their origin back to their wellsource. I understand the same phrase has different connotation here and now, that's religious muddling up tradition. Now, the Oja is establishing colonies in this part of Africa by 'awon omo ara Ye' (kindred of the matriarch). The head of each colony is Oloja, as in one who discover a habitable colony. The search parties involved were the Owas and their activity is imule, possessing the land. These people came through the sea, hence some of the earliest Yoruba enclaves can be found at the sea, inclusive of Lagos Island, which is the earliest Yoruba harbour as old as ile-ife. At least Oduduwa was not the foundind father of Yoruba population but Yoruba-empire. So. Where did the inhabitants of Yoruba before the meccan-ife oduduwa came from? Did the arrival of Oduduwa translate to sudden appearance of the Yoruba from nowhere? My joker is, the tradition usually drawn to support Oduduwa coming from the sky was a stretch from odu iwori, which rhymes with Awori. The Owa are the same as Awo (sightseers, seers) and that's where Orunmila and Ifa made history as pioneers and founding fathers who brought the viceroy, the true Oduduwa, the matriarch to Yorubaland. Her retinue own many place in ancient Yoruba, ile-ife was her possession too. Hence she was the first Ooni Ife. I've been thinking about this for a while now. Before oduduwa came liberating Yoruba , there was Yoruba nation I.e several Yoruba towns/settlements were in existence . He then had children and these children started founding or better stil having dominion over the existing Yoruba settlements. Before reading this your post , any time there is battle of supremacy between alafin and ooni , what usually comes to my mind is "Oduduwa was a stranger that came dominating, Ooni was a son of the soil, God knows how to restore throne back to the rightful owner"
Queen SHEEBAH Was different from BILIKISU SUNGBO because Queen sheebah existed about 3000 years ago while BILIKISU was said to be around 800AD. Precisely after the existence of JESUS CHRIST. They are not connected . Although the assumed burial location of Bilikisu seems unique with myth associated with it. Odu'a was the first HONI/ORNI/ONI/OONI and not all these jumbo mumbo cooked fairy tales being spread around about OMO OLUWO LO NI by Late Samuel Johnson...The word “OoNI"appellation need be studied very extensively The truth is that there were many interrelationship between Odua group and the other elements. These other elements aren't Obatala group because the progenitor of Yoruba must have had knowledge of Obatala family grouping before the fracas begun that one group believed he was the true lineage of head priestly group, leader and king. This was the problem when Odua group arrived. If it is not true, Can you decode the reason Odua didn't kill Obatala when Obatala was defeated?, This wasn't the norm during the old order. I want to know if the people they call Yoruba today were more sophisticated than Egyptians? I mentioned this because Obatala moved away voluntarily or forcefully for some period but was later absolved into the newly arranged family system created by Odua while Obatala was given a position to occupy. I am tempted to emphasise here that the name Odu- du-wa was not the Yoruba progenitor's name based on correlation and considering few names of his sons such as AKiN OLALOMI FAGBAMILA, OGUN , OKANBI, ORANMIYAN etc. ODU is a IFA term which literally was used to qualify his leadership quality of divinity and coordination. I am still waiting to read the reason, the ancient lineage of Odu'a sons or descendants being referred as OMO UWA /OMO OWA or better still “OWA" which was a more modernised for “UA" or “UWA". The progenitor's name need be carefully examined because the name was a fusion of descriptive word which was fused with his name to become appellation. ODU -DU -WA / ODU -DUA . The information on EREDO would have gone far if Yoruba nation was a country of her own. The federal government of Nigeria Will not spend their money on UNESCO potential monument. As far as the government is concerned, it is a waste of money. African history is complex n complicated . It is not that complicated as such but Africans themselves make it very complicated for themselves. Oral history is helpful but not absolutely without its flaws. Although it is a guide as far as I am concerned. OP. Why can you create a post and still be the first to comment. Thats cheating, you have violated Nairaland rule Act 13, but you are free to go. Well, nature is one of the best thing that has ever happened to human race, it would be nice to see this place but i have phobia for mountains. No Hiking! what exactly am I looking at?? Yorubas are a truly Great race of people.